This week in Room 14 we have been learning to read with expression. Reading with expression means to read with different tones, sounding like the character, and not sounding like a half asleep robot! First we read our plays with our group and Miss Ouano. Then we practiced reading the play with our group in a quiet place. 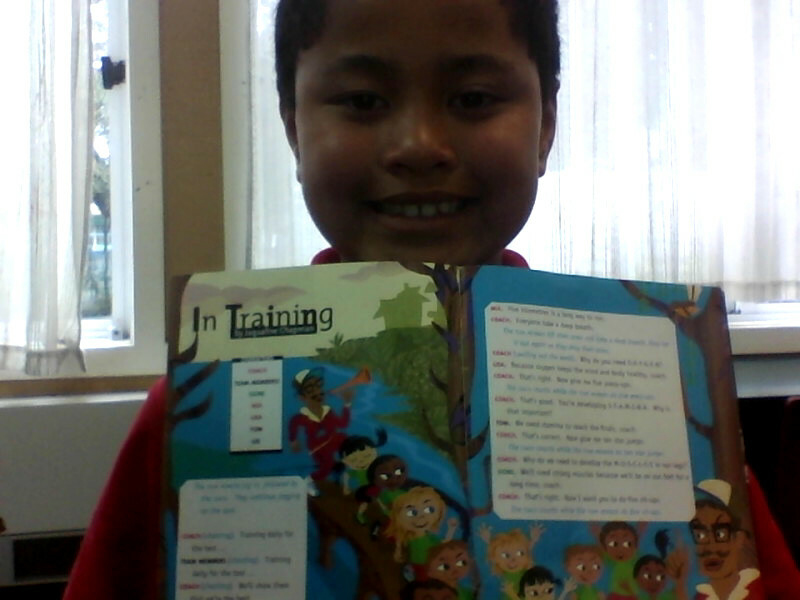 We had to make sure when we were reading with our group we worked together and worked as a team. Once we had practiced, we then presented our plays to our class! Performing in front of the class was really embarrassing and really nerve racking, but in the end it was loads of fun! After our performance, we recorded ourselves reading our play’s using Audio Boo. We then posted our boo’s to our blogs, so that others can hear our expressive reading. We hope you enjoyed hearing all about our learning! Be sure to leave a comment on our awesome blogs! This week Room Fourteen have been focusing on reading with expression. We have been using plays from our journals to practice reading with different tones and changing our voices to suit different characters. Listen to our boo's below to hear some of our awesome reading! Here I am reading the whole play by myself!!! This term we are learning all about different types of stories. Room 14 and room 13 have been working really hard to produce this fabulous animations showing their favourite nursery rhymes. Toma Hey diddle diddle from Team 4 Pes on Vimeo. Dartanian from Team 4 Pes on Vimeo. Mahana from Team 4 Pes on Vimeo. May's Animation from Team 4 Pes on Vimeo. Antonia Incey wincey spider from Team 4 Pes on Vimeo. Junior humpty dumpty from Team 4 Pes on Vimeo. Lorenzo Humpty Dumpty from Team 4 Pes on Vimeo. Tihi Spoken Word from Team 4 Pes on Vimeo. Here is an awesome video of Tihi's fantastic spoken work performance. We was very brave to stand in front of the whole school to share his poetry. Room fourteen is extremely proud of you Tihi! Ka pai!